The OnePlus One was one of the standout Android devices of 2014. A new manufacturer entering the Android game with a merely average device would have been a marvel, but introducing a high-performance, low-cost handset like OnePlus did was completely unexpected. Now the company has released the sequel to that device, the OnePlus 2. After thundering into the Android world, will OnePlus find that lightning can strike twice? Read on for our OnePlus 2 review. Update: On June 1, 2016, we learned that the OnePlus 2 would be available to buy directly through Amazon US and UK. Head to our 'release date and price' section for all the details. The OnePlus 2 release date was August 11, 2015, for the 64 GB model in the US and UK, but the 16 GB model wasn't available until later in the year. The 64 GB OnePlus 2 dropped to $349 in February, and now the price has fallen again, ahead of the OnePlus 3 launch. It now costs $299. Paired with free shipping on any orders over $100, it's a pretty good bargain. OnePlus looks to be moving away from its invite model. The OnePlus 2 is currently available for purchase on Amazon.com for $299 and Amazon.co.uk for £249. You can purchase it from a private reseller on Amazon or buy it from Amazon directly. The price from the latter is currently lower. Follow the links below to pick one up. The design of the OnePlus 2 impressed me from the moment I first saw it. I have to admit that it looks better than I had expected, a fact not always true of phones that have been as hyped up as the OnePlus 2. At first glance, the company’s "Never Settle" slogan seemed to have burst into affordably premium life. But first impressions can’t always be trusted. For starters, the OnePlus 2 looks an awful lot like its predecessor. While some will appreciate that OnePlus has stuck to an existing design language, others who demand innovation at every step will likely be bored. We need only look at the backlash surrounding the design similarities between the HTC One M8 and One M9 to see this in action. The OnePlus 2 we got for review is the Sandstone Black color option: the same as the original OnePlus One. The textured back is a little rougher one the new device, and it feels nice at first, until you realize it is a textured plastic cover. Not that the back of the OnePlus One was real sandstone – it was a textured veneer over a plastic base too – but this one feels a lot cheaper than the back of the One. While this may not be so significant for some, it definitely doesn’t feel like an improvement over the One. So why opt for this material choice? Because the back of the OnePlus 2 is removable. But don’t let this fool you into thinking the OnePlus 2 has a removable battery, because it doesn’t. The reason the plastic battery cover of the OnePlus 2 is made of a flimsy plastic is that it enables you to switch rear covers. OnePlus previously tried to push StyleSwap covers with the original One, with pretty disastrous results (which actually led to the company cancelling the accessory). The OnePlus 2 makes the process of swapping rear covers easier and less risky, but it comes at a price. Each StyleSwap option costs US$49. Fortunately, these options give you 'real' materials to work with: Kevlar, and three types of timber, Bamboo, Black Apricot and Rosewood. These are sourced from China, Morocco and South America, respectively, and they’re certainly better than the stock Sandstone Black option, although the timbers feel a little slippery in comparison. On the other hand, OnePlus has made some significant improvements to the industrial design of the OnePlus 2. Both the volume rocker and power button protrude a little more, making them easier to feel out, and they are both located on the right-hand side. The left side introduces a new Alert Slider, which we’ll come back to later, and there’s a new home button that doubles as a fingerprint scanner on the front. Under the back cover there’s a dual-SIM card tray but no microSD slot. All other ports are in familiar places compared to the One, with just a few changes: the headphone jack switches sides on the top, while at the bottom, the twin speaker grills are larger and more noticeable (although there’s no stereo speakers here). They’re also less likely to get full of fluff you can’t dig out. The OnePlus 2 also introduces USB Type-C for charging. The cable itself is thick and tangle-free and the male end is sturdy and provides a snug fit. Unfortunately you’ll have to carry the OnePlus 2 charger around with you for a while, at least until USB Type-C becomes more widespread. Unfortunately though, the OnePlus 2 does not support fast charging with the included cable – or any other cable for that matter – or wireless charging. While we’re on the 'doesn’t have' list we should also mention NFC, microSD and a removable battery. How important these features are to you is a matter of personal opinion, but their omission shows where the company had to make compromises to keep the cost as low as it has. Having said all of this, the OnePlus 2 does look great. OnePlus has done a nice job on this front, even if I’m no fan of the rear cover. A metal frame is the must-have 'premium' material choice of recent times for devices as wide-ranging as the HTC One M9, Galaxy S6, iPhone 6 and various offerings from Xiaomi and Huawei. There’s no denying that the phone will be too large for some, but anyone used to the OnePlus One, or any other 5.5-inch device, will feel right at home. The phone has a curved rear, like its predecessor, and fits nicely into your hand or pocket. The world has become more accustomed to larger phones in the year since the One anyway. One thing that is entirely new is that Alert Slider on the left-hand side of the phone. Similar to the iPhone’s mute switch, the OnePlus 2 has three sound profiles: None, Priority and All. The bottom position is your default 'let it all in' setting. The middle position is for Priority Notifications only, which you can edit in the phone’s interruptions settings. The top-most position is basically Do Not Disturb mode, where you’ll only be interrupted by alarms. Notifications will still appear on-screen, you just won’t get any audio alerts. The Alert Slider takes a little while to get used to, especially if you’re still on KitKat and can activate silent mode with the volume buttons (this option was removed in Android Lollipop). Once you get used to making use of the Alert Slider though, it’s actually quite handy because there’s no need to turn your screen on to switch audio modes. The OnePlus 2 also has another significant addition: a physical home button. Well, it looks like a physical button, but it's actually more of a recessed capacitive button that houses a fingerprint scanner. The button does not click, because it is not actually a physical button like on a Galaxy device. You’ll get haptic feedback when your press has been detected, but you have to press it a little harder than the other capacitive buttons on either side. If you disable haptic feedback to save battery life, you may find yourself wondering if your home button press has even been registered. While the OnePlus 2 retains the option for on-screen buttons, if you’re using the home button to unlock your phone and on-screen buttons for navigation you’ll have to constantly switch between button locations. This is hardly a huge problem, but it is a little awkward to get used to. On the positive side, the two capacitive buttons are very adaptable. This is for two reasons. The first is physical: unlike the One, which had backlit icons for Recent Apps, Home and Back, the OnePlus 2 simply uses backlit horizontal lines. The second reason is that they are customizable. You can easily switch the location of Back and Recent Apps in the settings, and you can also set long-press and double-tap options as well. Not having markings means you don't get confused. It's also nice for custom ROM fans as well as those who like to have more control over their navigation keys. The lack of a visual indication of a button’s function may seem odd at first, but you’ll quickly remember which button does what and you’ve always got the on-screen option. Of course, you can also turn off the backlight for the capacitive buttons too. The OnePlus 2 houses a 5.5-inch Full HD (1,920 x 1,080 pixels) LCD display behind Gorilla Glass 4. The display itself is nice, but not exceptional. While OnePlus made much of the 600 nits brightness of the OnePlus 2, it really doesn’t seem that bright in practice. That's not such a bad thing; all that brightness is only going to kill your battery faster in any case. As well as the display not seeming super bright, it also feels a little flat and lacks vibrancy. Colors are quite muted, similar to the LG G3. While I personally don’t mind more realistic and subdued color reproduction, the OnePlus 2 does look a little washed-out in comparison with the Galaxy S6. Your preference for saturation levels and display brightness will naturally determine whether you like or loathe the OnePlus 2 screen, but it must be noted that its viewing angles are not really up to par either. Don’t get me wrong, it’s a perfectly acceptable screen for a phone in this price range, but it doesn't offer the same quality you’d see in other, more expensive flagships. How you feel about OnePlus' decision to opt for Full HD resolution rather than QHD will depend on you feel about QHD. It takes more power to push the extra pixels of QHD, so Full HD is the more energy efficient option. But Full HD resolution will feel dated to those who incessantly demand higher numbers for everything. Personally, I’m perfectly happy with a Full HD display. Keep in mind that there are still relatively few apps that take advantage of QHD resolution. If your icons, apps and movies are all still calibrated to Full HD, there’s not much point in having QHD either. QHD would also have upped the price of the OnePlus 2. As of the update to OxygenOS 2.1.0, the the OnePlus 2 now includes a "color balance" slider in display settings. This allows you to change the color-temperature of the display from cooler blues to warm red tones. It's not an essential feature, but it's worth playing around with to see what colors you prefer the most. The fingerprint scanner on the OnePlus 2 allows you to store up to five fingerprints, like most other fingerprint-equipped Android smartphones. The registration process is very simple and quite fast. The OnePlus 2’s scanner is amongst the most reliable I’ve come across on Android, right up there with the S6, Note 4 and Huawei Ascend Mate 7, although it is slightly odd that the percentage of your fingerprint recorded increases even when you place the exact same part of your finger on the scanner. You can also unlock your phone while the screen is off, unlike the Galaxy S6 or iPhone 6. With those devices you must first wake the phone to scan your fingerprint. The OnePlus 2 does away with this clumsiness nicely and will read your fingerprint from a screen-off state, from which it fires up in about a second. We’ve already discussed the OnePlus 2’s Alert Slider in the Design section above, along with the USB Type-C cable that's included in the box. At this point we should note one 'special' feature the OnePlus 2 is missing: NFC. If you’ve grown used to using NFC to pair Bluetooth devices such as your phone and speakers or headphones, or even to set up a new device using Android’s stock Tap & Go feature, the lack of NFC on the OnePlus 2 will be problematic and irritating. If you aren’t already a fan of NFC, you probably won’t care that the feature didn’t make the cut for the OnePlus 2 specs sheet. The question must be asked though: why say "Never Settle" when hardware features as standard as NFC get left out? This is especially relevant with Android Pay is due to be launched with the Android Marshmallow release in a couple of months. Without NFC you won’t be able to use your OnePlus 2 to make payments with your phone, so it’s a curious omission, not least because NFC would have cost very little to add. The OnePlus 2 features an all-new operating system, Oxygen OS version 2.0, which appeared alongside the OnePlus 2 at launch. Before we delve into the features of Oxygen OS itself, it’s worth mentioning the OnePlus 2’s recovery mode, as I had to flash firmware on the OnePlus 2 before it went out OTA. For anyone used to flashing custom ROMs or pottering about in recovery, the OnePlus 2 has a very simple and clean recovery mode. This only matters to those who plan to modify their OnePlus 2, but it’s certainly a nice feature to have. It’s one of several features that make the OnePlus 2 feel as though it’s trying to make modifications as easy as possible. In this sense it feels a little like a My First Nexus – and this is a good thing. On the subject of modifications, Oxygen OS is a slightly tweaked version of stock Android. The look is very similar to what you’d find on a Nexus or Motorola device, but OnePlus has added a few custom ROM-like features. These include theming, including a system-wide dark theme, a new software feature called Shelf and a great Audio Tuner for tweaks to your audio settings. You’ve also got a customizable LED notification indicator, Buttons sections for managing your capacitive and on-screen button options, off-screen gestures to quickly access apps and features, and granular app permissions. Shelf is kind of like a fledgling Google Now. It’s an optional extra during startup and lives in Google Now’s location in the far left home screen. It’s pretty basic right now, with room for the weather, your favorite contacts and most used apps, along with a few options for widgets. OnePlus is happy to admit that Shelf is a beta feature still in development, but wanted to offer up OnePlus 2 owners the chance to provide feedback on its usefulness while it’s still in development. So while its functionality is currently quite limited, it definitely has potential, and you can opt out of using it if you prefer. The OnePlus 2 does, however, have a basic customization section. You’ve got a dark theme, which hasn’t even made it to stock Android yet, and options to choose an accent color for your settings menu and quick settings. There’s also a simple LED notifications section for global notifications, full battery, low battery and charging battery. It’s nowhere near as detailed as some apps such as LightFlow or LED Manager, but it’s better than nothing. The OnePlus One’s off-screen gestures have made a comeback, so you can use double tap to wake or draw various shapes on a dark screen to quickly access the camera, flashlight or control your music. While these all worked fine I simply didn’t find myself using them very often. But again, it’s nice that they’re there. The next major Android version is as good as guaranteed for the OnePlus 2, but try as I might, I couldn’t get OnePlus to assure me it would be out this year. It seems the company knows when to let loose with wild claims and when to keep tight-lipped. Of course, three of the most notable Android 6.0 Marshmallow features are dark mode, a fingerprint scanner and granular app permissions, and the OnePlus 2 already has these. The OnePlus 2 features an underclocked Qualcomm Snapdragon 810 processor and 4 GB of LPDDR4 RAM. 4 GB of RAM is a lot for any smartphone, but the Snapdragon 810 is the CPU behind a lot of the overheating and thermal throttling stories you may have seen this year. The OnePlus two has four cores clocked at 1.5 GHz and four at 1.8 GHz, rather than the max of 2.1 GHz. Despite not particularly believing OnePlus’ claims that the 810 in the OnePlus 2 was "cooler than ever" I never found that phone got exceedingly hot. This is sadly due to underclocking the 810 and throttling though. During benchmarks or hi-res gaming with Asphalt 8 the phone got warm, as any phone would, but it never got too hot. I didn’t experience any significant heat-related issues like those that plagued the Xperia Z3+, but the OnePlus 2’s performance does drop during heavy workloads. For example, I saw around a 30 percent drop in benchmark score after playing 1,080p video and then gaming for 10 minutes or so. This is thermal throttling in action. Under strain, the OnePlus 2 does get a little warm on the top metal edge and on the back between the camera and volume buttons, but it disperses that heat quite well. Even at its warmest, the OnePlus didn’t seem jaggy or force close any apps, but it did drop a frame or two in games. The OnePlus 2 just doesn’t feel super fast. Considering it is basically a Nexus – high-end specs running a very slim version of Android – the interface just doesn’t seem as snappy as it could. I killed animations and transitions in the settings to give the illusion of greater speed, but that shouldn’t be necessary on a brand new phone with specs like this. Benchmark results were good though – hovering around the 62,000 mark in AnTuTu for a 64-bit test, but dropping to around 44,000 after gaming and watching video. We conducted another AnTuTu benchmark (shown above) when the device was several months old. There was a significant drop in the score since the first set of tests we did when the device was new (from around 60,000 down to the low 50,000s). This drop was not mirrored in the other benchmarks we conducted, but is still worth noting. Oxygen OS seems pretty decent for what it is: a very early release of a new ROM. I didn’t have any issues multitasking or app-switching and the general response was stable, but not as stable or quick as stock Android. OnePlus has added some very nice features to Android and things will progress over time. Just don’t expect too much too soon. The OnePlus 2 may have twin speaker grills on the bottom, but only the one on the right produces any sound. Fortunately, that’s the speaker grill that you’re less likely to cover with your hand when gaming, but if you do cover it up, the OnePlus 2 practically becomes silent. The OnePlus 2 is capable of a pretty impressive level of sound though. Volume is quite high, although it’s hard to tell the difference between half and full volume, and clarity is above average. We’re not talking HTC BoomSound quality here, but it's not at all bad for a phone in this price range. The OnePlus 2 also comes with the impressive Audio Tuner pre-loaded. You’ve got default settings for movies, games and music and you can tweak things to your heart’s content. So if you think things are too tinny or not bassy enough, you can make adjustments. Not every user will bother to adjust these settings that much, but once again, it's great to have this option. The OnePlus 2 has a 13 MP main camera with f/2.0 aperture, optical image stabilization, dual-LED flash and laser auto-focus. You've got a 10-minute limit on shooting 4K video, along with options for Full HD (1,080p) and HD (720p). 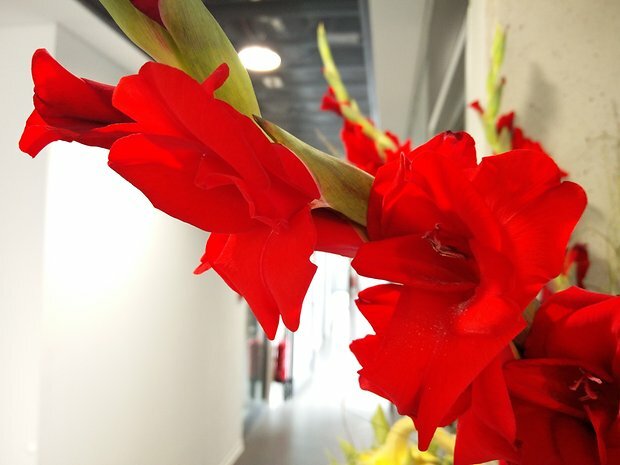 The OnePlus 2 camera app is similar the Google Camera, with some additions. You’ve got additional shooting modes, including HD slow-motion at 120 fps, time-lapse and panorama. The regular camera mode has three basic options. The first is Beauty, which smoothes out wrinkles and blemishes and does a decent job of making your subject look nicer without overdoing it. This can’t be said of all beauty modes – many can make your group photos look like a wax museum. Then there's HDR, which brightens up high contrast or gloomy subjects. It does a pretty good job without being the best in its class. Even without HDR though, the OnePlus 2 doesn't tend to blow things out or create super shadowy images. It’s quite quick to shoot in HDR and it adds saturation, so you may as well leave it on unless you’re shooting moving subjects. Clear Image mode stitches together a bunch of individual shots for additional clarity. The effect is pretty good but it takes longer to capture the image and the resulting file will be larger than normal photos, so you’ll need steady hands and plenty of storage space. It’s the same interlacing thing Oppo did with the Find 7. It’s good for detailed shots, but not much else. There is also a variety of ways to access the camera on the OnePlus 2. When the phone’s screen is off, you can use an off-screen gesture to launch the camera app without unlocking it. Otherwise, you can access it from your lock screen or with an assignable button option (if you unlock your phone first). Auto-focus was a bit of a problem. It seemed to jump around a lot in video and got a little confused in photos too. This doesn’t happen with the G4’s laser auto-focus so I’m not sure what the problem is with the OnePlus 2. Since we first published this article the OnePlus 2 camera has received an upgrade as part of the OnePlus 2 update to OxygenOS 2.1.0. This update introduced RAW support for third-party apps and a manual camera mode allowing for more control over photography settings, which are both welcome additions to the camera interface. Sadly, the auto-focus issues mentioned above have not been addressed in any significant way; I have seen no difference in how it performs. All of this being said, the OnePlus 2 camera hardware is generally capable and the software is perfectly fine. Don’t expect Galaxy S6 or LG G4 standards and you won’t be disappointed. It’s definitely not the best camera on Android, but it’s pretty close to the top in this price range. The OnePlus 2 battery comes in at 3,300 mAh, which is pretty decent for a 5.5-inch Full HD phone; some other, more expensive phones with QHD displays have smaller batteries. The only issue is that those phones have some pretty aggressive battery optimizations and settings, which that OnePlus 2 lacks. The only advanced battery setting the OnePlus 2 has is the stock Android Battery Saver mode. This is enough to get you through a solid day of usage, even with the screen set to high brightness, but don’t expect any miracles. If you watch lots of video or do a lot of gaming, you’re going to kill the OnePlus 2 quite quickly. But then that is true of any phone. Unfortunately, as mentioned above, the OnePlus 2 does not support fast charging, wireless charging or have a removable battery, so your recharge options are limited to lugging around that USB Type-C cable everywhere you go. If OnePlus push battery management in a future Oxygen OS update – and they really should – things could get a lot better. But for now they’re just OK. Considering the price of the OnePlus 2 however, this a pretty good battery and a great camera, so keep those things in mind. Think back to what we were happy to accept with the Nexus 5 in the camera and battery department when that device launched. The OnePlus 2 is a great phone, but it suffers from two things: the necessary limitations that needed to be placed upon it to meet its price point and the negativity that One Plus' incessant hype-beasting produces as a result. If OnePlus hadn’t banged on so much about the OnePlus 2 being the 2016 flagship killer and "never settling", then the minor issues and omissions of the OnePlus 2 would be perfectly acceptable. But when you set everyone’s expectations impossibly high, you only have yourself to blame when not everything is up to scratch and you get called out on it. The OnePlus 2 is missing some critical features, and some of the of the included features – and even the OS itself – are still in their early stages and need time to mature. But the OnePlus 2 is a big improvement over the OnePlus One and is barely more expensive. It’s a great phone for the price if you can accept that you do have to settle occasionally after all. To think otherwise, you would be deluding yourself. Or listening too much to marketing. 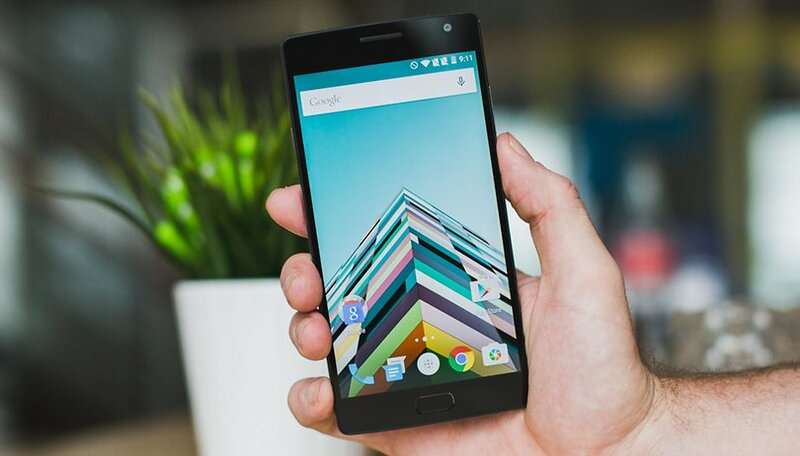 What do you think of the OnePlus 2? Does it live up to the hype? Let us know in the comments. O P may sell 1.5 million phones in 2016, sounds small, but Asus only selling about 4 mil. Worse customer service ever. Middle button broke down, now the displayed. I opened the call on january 19th, still no news. No removable storage? No thanks. Immature os? what a waste of time reading. The OS is working better then cm12.1 and cm13, but ofc if you expect a sloggish experience you better buy a samsung and keep it stock. The phone is awesome and so is the review! I've just received this phone and the colour screen is awful. I can't work out how to adjust settings. The brightness settings dont make any difference. Currently everything has a yellow tint to it. Reds look like burgundy. Bright greens look like light lime. Royal blue looks like pale blue. I dropped my Samsung and I am phone less ( oh, the humanity.). Any invites out there while I wait for mine?